Immigrants detained at four large centers used by Immigration and Customs Enforcement are subject to inhumane treatment, given insufficient hygiene supplies and medical care, and provided potentially unsafe food, according to a federal report. The “concerns” about the treatment of detained immigrants in facilities in California, Georgia, New Jersey and New Mexico is summarized in a report issued by the Inspector General’s Office of the Department of Homeland Security. “The findings are similar to those of outside groups that have alleged ‘extensive’ human rights abuses at ICE detention centers. “The inspector general’s report comes as the Trump administration is asking Congress for funding to expand the immigration detention system. “Upon entering some facilities, detainees were housed incorrectly based on their criminal history. 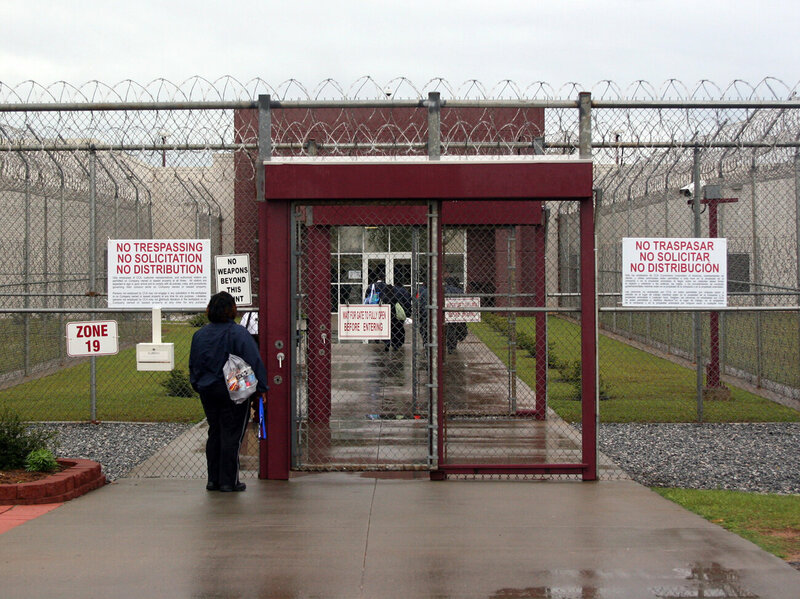 Further, in violation of standards, all detainees entering one facility were strip searched. Available language services were not always used to facilitate communication with detainees. Some facility staff reportedly deterred detainees from filing grievances and did not thoroughly document resolution of grievances. Staff did not always treat detainees respectfully and professionally, and some facilities may have misused segregation. Finally, we observed potentially unsafe and unhealthy detention conditions. The report also recommends that ICE improve its oversight of detention facility management and operations. In an official response, ICE concurred with the findings and promised to strengthen oversight and improve overall conditions. Critics of President Trump’s immigration policies say the findings are not new as they predate the current administration. A 2015 report by the National Immigrant Justice Center questioned ICE’s ability to oversee the detention centers it uses. “ICE’s inability to provide for the safety and health of the tens of thousands of immigrants in its custody has been documented for years. Today, we are calling on Congress to demand accountability and drastically reduce ICE’s detention budget. Three years ago, the Department of Homeland Security Inspector General’s office reported on a series of unannounced visits to detention centers for unaccompanied children. The inquiry found evidence of inadequate food, temperature control problems and inconsistent employee-to-detainee ratios. Previous What is the best way to hold Private Prisons to Account?